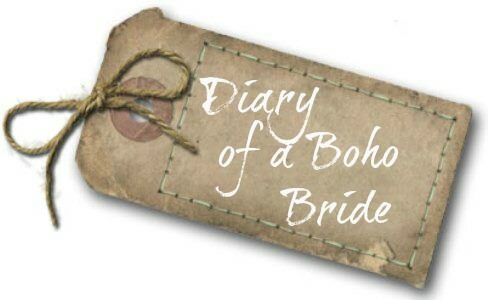 Today on Diary of a Boho Bride we catch up with Laura. Laura is getting married on 13th April, so it’s just over 2 months to go! Exciting times! 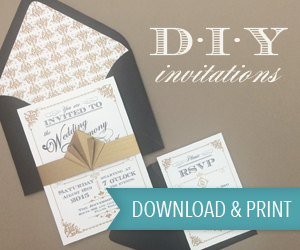 As well as writing for the Blog, Laura is also one of my main DIY Contributors, Plus I am her wedding planner! So as you can imagine Laura’s posts are rather special to me! I am so looking forward to her wedding it’s going to be every kind of wonderful! Today with only 2 months to go Laura is pulling all the final bits and pieces together. 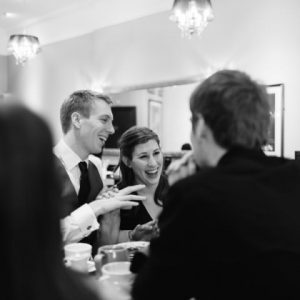 Laura shares with us outfit choices for her, Chris, the bridesmaids and the ushers, as well as talking us through a few last minute bits and bobs. 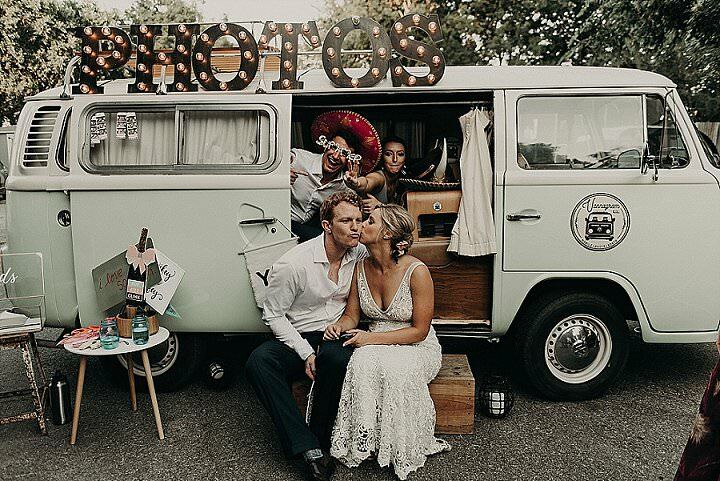 She also shares with us how her parents have suddenly wanted to get involved in the 11th hour, something I’m sure you future brides out there will be able to relate to! I’ll pass the Blog over to Laura………..
My penultimate update! WHAT?! Crazy times. It feels like I have been engaged forever, so saying that I am getting married in 2 months seems bonkers. Chris is still away with work too so that means that I tend to get a bit overexcited on my own a lot. I absolutely cannot be held to account for my actions during this time because there is no-one around to rein me in. Who says I don’t need 10 pints of confetti huh? So, the final stuff we’ve sorted…………. Men’s fashion is not my forte. Actually, neither is women’s to be honest! When it comes down to my clothes, I go for what is comfortable, suits me and fits well, and funnily enough that is what Chris does too. We don’t believe in fashion for the sake of it so when it came to the boys we just wanted them to feel happy and comfortable. No tails, no cravats and certainly no top hats. 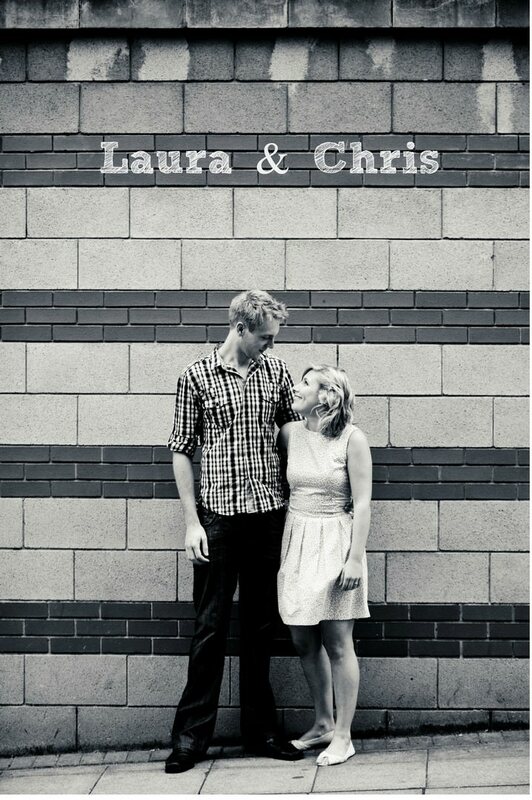 If you look at our engagement photos, you can see Chris is tall. 6’7’’ to be exact. This is bigger than any high street ‘tall’ or ‘long’ and we have never ever been able to get Chris a suit that fits in the legs or arms. They always are just that little bit too short, though admittedly Next comes about half an inch close. It was a given therefore that Chris would need made to measure if he wanted a suit. I have to be honest and say this was NOT in our budget, and no amount of Sainsbury’s value beans on toast for tea could have helped us save that much. So I sold my car. My Limited Edition vintage Beetle. *sniff*. I shed actual tears. So, we are a wedding car down (I had my heart set on using her! ), but could afford the suit, so Chris went and got measured at an open day at atsuitthatfits.com. The website is very user friendly, but Chris being the size he is I wasn’t confident in measuring him myself and sending off the details, so we let the professionals do it. 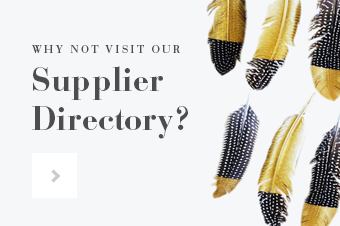 They are a very reasonable price, with an enormous amount of choices on fit, style and fabric, and the tailor suggested the most flattering cuts and styles. Perfect for two very non-fashion savvy people! The suit has arrived. There is a waistcoat. Honestly the boy looks hot; I’m really going to have to bring it if I’m going to match up to him! In a similar vein to Chris, we just want the boys to be happy. 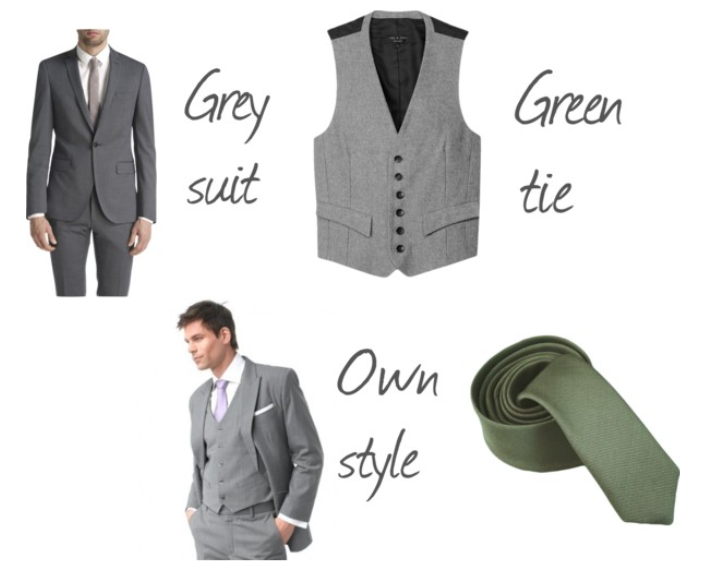 We have given them all the option of wearing their own grey suit with a white shirt which they are very happy with. This way they all get to wear a cut, colour and style that suit them and they feel comfortable in. They’ll wear it again too and so costs per wear benefits are brilliant! We’ve bought them all matching ties so they can feel a little special, so that was super easy. 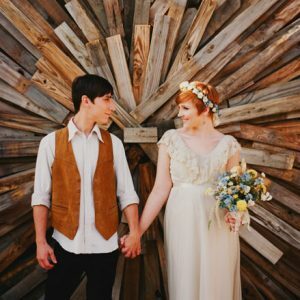 My dress is in the shop! It is beautiful and just what I remember, I can’t wait to wear it. It is a little large (training for a marathon means that this is not going to change anytime soon!) so I need a fitting to take the waist in and the length up but otherwise it is perfect. Underwear is purchased for my fitting courtesy of a lovely sales assistant in House of Fraser who fitted me…though truth is I have a feeling the Spanx will make an appearance. They just make me feel more secure you know? Hey, if you don’t tell him I won’t. 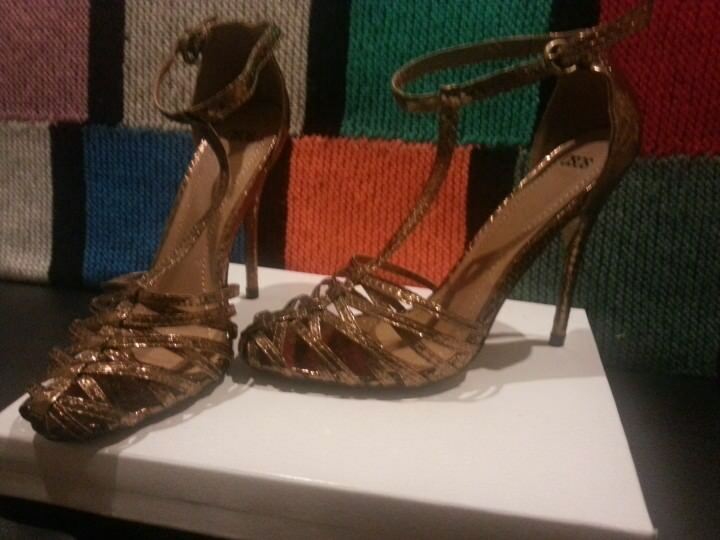 As for shoes I had a gorgeous pair of Alexander McQueens. Then realised I can’t walk in them. Ooops. So a bit of stress and online shopping later I ordered a pair from ASOS on a whim. They fit great and were an absolute bargain. Again on a theme of feeling comfortable, the girls were given free reign of colour and style. 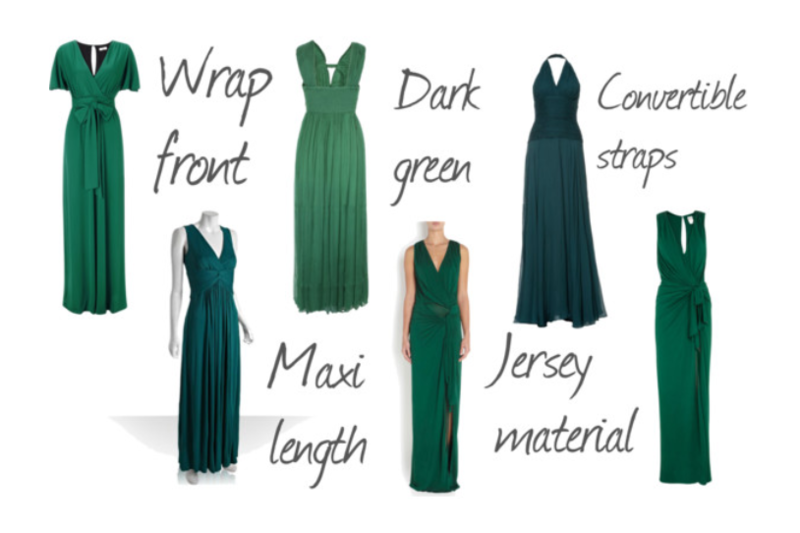 They both opted for a dark green floor length number and with a bit of research and DIY I have kitted them out with a dark green infinity dress (not unlike Two Birds dresses) which they can style up how they like. I think one is loving a halter neck style whereas the other is tending towards a little cap sleeve. They are both different sizes and shapes so this suits them down to the ground. As for shoes we hit up Meadowhall pretty hard a few weeks ago and FINALLY have them sorted. One pair from Debenhams and the other from Next, the girls chose exactly what they wanted with no guidance from me at all. So now is this time I’ve realised when we find out how many people are coming. That is, if people actually RSVP. When they do, or when I’ve harassed them long enough to get an answer, we can let our caterers know how many mouths need feeding for the BBQ, the furniture hire company just how many mismatched wooden chairs we need and I can finalise that seating plan. Now is also when parents seem to want to get involved. They let me be excited for the last two years and now just when I am starting to get everything ticked off and sorted out it is their turn to get excited and want To Know And Do All The Things. Can they book me a massive vintage wedding car? Can Auntie B only sit on a table with two other people, out of the draft yet close enough to the loo? Is that person that they didn’t tell me to put on the guest list coming? The thing is, most of the things are now too late (this is what I’m telling them anyway). I am trying so very hard to be strong and have what we want and not what they want but really, they are giving us a lot of money towards the wedding after all, if my dad is going to be happy in a Rolls Royce then I should let him have it. I am trying to talk him into putting the money behind the bar instead, or at least using it to buy mum a designer MoB outfit but it’s his money, and I’m his only child, he’ll do with it what he wants. We’re not really doing the ‘traditional’ wedding and if it makes them feel more comfortable or in control or whatever, I’ll go with it. advice Really though, if I impart any advice at all writing these diaries – keep the table plan a secret. The most stressful thing I did was asking opinions. The honeymoon is paid for (a fabulous week in Bruges. Bring on the chocolate and pastries!) and I have a new passport with my married name in! The ceremony is written by One Life ceremonies and we have the rings ready. We’ve both given notice, which was a bit of pain due to living apart at the moment, but most things are coming together. I’m going to get back to practicing making the cake, and I shall be back in a few weeks for my last ever post! Hopefully I can tell you about the Hen/Stag extravaganzas (not really. Please, not really) and I’ll see if I can drag something out of Chris for you grooms out there.